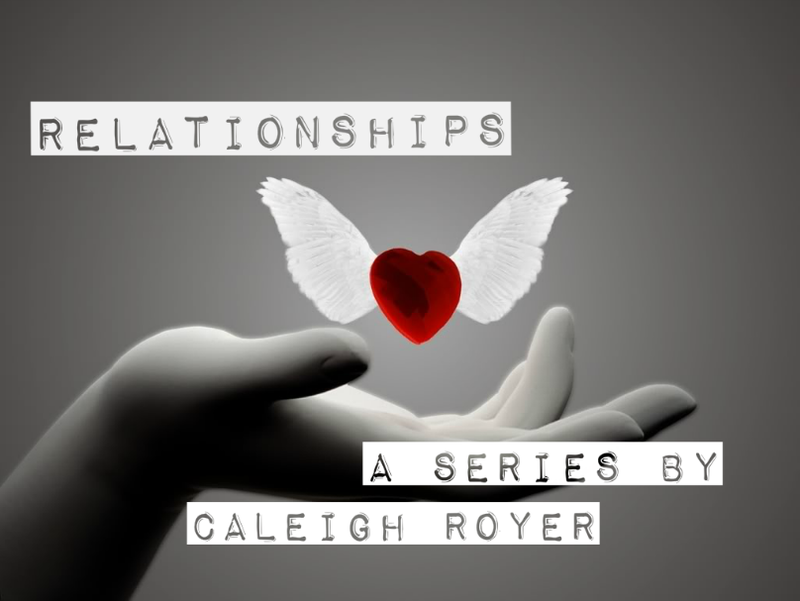 HA note: This series is reprinted with permission from Caleigh Royer’s blog, Profligate Truth. Part Eight of this series was originally published on June 10, 2013. Something started happening to me as our story crept on. I think I started at the beginning with meeting Phil as a naive and happily innocent girl. Even though I was surrounded by abuse at home and I was clearly unhappy at home, I think there was still a part of me that thought that was normal. I still believed that my parents cared for me and loved me and would do what was best for me. At some point throughout all of this, and I’m not sure if it is when I said yes, or not, but I began to claim my life as my own. Once a person begins to realize and claim what is theirs, I don’t believe you can really go back from that. June started slowly going by with typical muggy days, and I carried around a secret in my purse no matter where I went. I carried around the ring that my aunt gave me and would often pull it out to look at it. I had asked Phil the day I got it about whether or not he wanted to have it so he could surprise me, but he begged me to keep it. “I will most definitely lose it, if you give it to me,” he said. So, I kept it. A beautiful, one of a kind, sapphire ring. I have never wanted a diamond, and I loved the rich glorious blue of sapphires the best. I want to back up a little bit in this story and go back to March of 2010. I just stumbled upon some really sweet parts of our story that I wanted to share, especially with all of the crap that is about to explode in the end of this part and the next part. In March, something happened with my family and my dad’s job. The same day everything went down with his job, my dad was also in a bike crash and broke his collar bone. Yeah, that wasn’t a fun day. I happened to be at church later that day and got to see Phil for quite some time. By this point in our relationship, we were shrugging off the guilt of talking to each other and were talking again quite regularly. In person was really the only thing that cut it now, although, I just remembered that we used to talk almost every night for a few hours if we hadn’t seen each other that day. We had to see each other, we had to see each other’s faces and read each other’s reactions as we talked. Once again, it was that time of year when the high school group at our old church was doing their annual play, and guess who was in charge of half the costumes? Yeah, me, so I got to see Phil multiple times a week, plus almost every Saturday evening because I had to be at church working on all of the costumes. Those were some of the sweetest times in our relationship, and I could definitely say that that is when our friendship blossomed and turned the corner to being something so much deeper. Phil knew when I was down, when it had been an incredibly rough day at home, and he knew just what to say. He would often put his arms around me and tell me that I was beautiful. He would lean in close and ask me if I was going to be okay and then would tell me that he was proud of me. Those whispered words were what kept me going, and I grew more in love with this man as each day passed. I knew, without a flutter of a doubt, that this was the man I was going to marry, and this was the man who was going to take care of me and help me heal. It was a Tuesday, and we both had care group that night. We started making it a habit to meet before care group at the farm park just down the road from both of us. We would meet, eat dinner together, talk for awhile and then head our separate ways. Those meetings were, in a way, our version of dates because we weren’t “allowed” go on dates. Besides, we were away from the eyes of those who looked on us with disdain and there was almost no chance of running into anyone we knew at the farm, so we were free to talk, laugh, and share stories without feeling like we had to hide our emotions. I met Phil as usual and it was really a gorgeous day. Not too hot, and the sun was getting ready to set. The sky was a brilliant blue with a splash of golden clouds reflecting the sun. I don’t remember what we had been talking about that day, but we had reached a peaceful lull in the conversation and were just sitting there, holding hands, and looking out at the corn fields and the trees before us. Phil suddenly turned to me and asked if I had the ring with me. I said yes very slowly and asked why. He just smiled and asked me to go get it. I went running to my car and on the way back suddenly realized something. 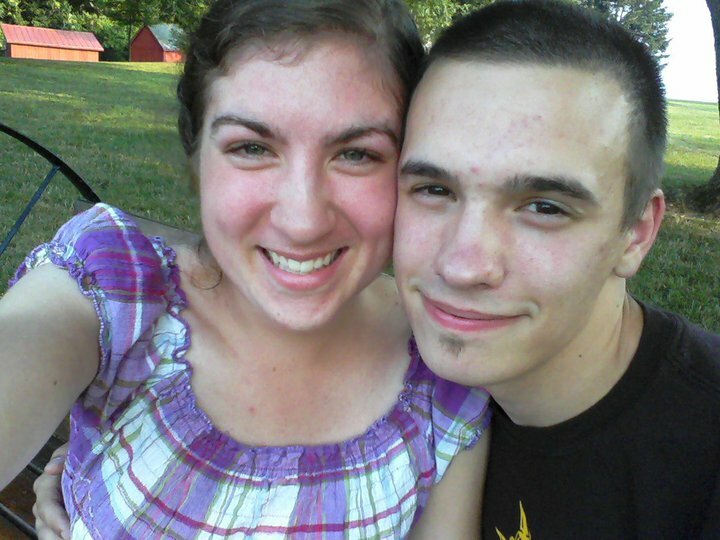 Exactly 9 months ago to the day, Phil had told me for the first time that he loved me, and wanted to marry me. My heart gave a great leap of joy as I knew what was coming next. I handed him the ring box, he stood up and grabbed my hand and led me off down one of the paths. During the walk he told me about how much he loved, why loved me, why I was his best friend. He told me about how excited he was to spend the rest of his life with me and how much he was looking forward to those days. By this point we had reached an enormous and beautiful oak tree, the sun was setting off to my left, and as I looked at him, Phil got down on one knee, held out the ring, and asked if I would be his wife. Of course, I said yes. Immediately. We both left that night having decided to keep our engagement a secret for a week. We didn’t want either sets of parents finding out until we could tell them simultaneously. Of course, wouldn’t you know it, they both refused to see any point to meeting with us…again. We asked if we could sit down and talk with both sets of parents at the same time, we really did try, so we resorted to other methods. The following Saturday, we decided that I would sit down with my parents while Phil called his from work. That was the only way we could figure out to tell them without one side knowing before the other and causing even more mayhem. It really bothers me, seriously, about how paranoid we were about our parents throughout all of this. We were in love, we wanted to get married, we weren’t doing drugs, we weren’t sleeping around, we weren’t cursing our parents and going off to live with each other and saying forget marriage. We wanted to do things right, we wanted to get married, spend our lives together, and yet, I was treated like I was doing everything but that. Our reactions really goes to show you just how bad things were getting. I remember the day we told our parents. Ironically, my side of telling my parents actually went quite well compared to Phil’s side of things. I sat down with my parents, looked them in the eyes, and said that Phil and I were engaged and we were getting married in 30 days. Oh yeah, forgot about that part. We had this brilliant scheme that we were going to run away down to Williamsburg to get married. This part of things was definitely a big mistake on our part, and I am sorry we tried to do this. I don’t remember if we had any plans for after we were married… kind of drawing a blank on that. I think the whole “Getting married in 30 days” thing was more of a desperate attempt to show our parents that we were really serious even though they continued to not take us seriously. We wanted to show them that we weren’t playing around here, but were taking things very seriously and we had already made our decision. My dad told me that no, we weren’t engaged, and I shot right back that we were. All the way up to our wedding, my dad still would not acknowledge that we were engaged. The days after that fatal Saturday were quite fraught with chaotic pressure from pastors, parents, and even some friends to break off our engagement. But somehow, we made it, and continued to say that we wouldn’t break off the engagement because that was something that was strictly between us and only we could decide whether or not we were going to get married. I tell you what, the weeks began stretching into a monotonous never ending round of one week of drama and then two weeks of semi peace, to another week of drama, to another two weeks…well, you get the picture. Between our engagement and rudely announced getting married in 30 days scheme and our wedding, we met with the pastors separately with our parents, we met together with the pastors without our parents, and we met individually with pastors, and Phil met with the pastors, and his dad and my dad. Oh, but guess what, we never got to meet all together with the two of us and our parents. That is still something that has continued to frustrate me to this day. It never made any sense as to why we all couldn’t have met together. November came, and I actually got to celebrate thanksgiving with Phil’s family and extended family. I was treated with much caution. I’m going to be honest here and say that I felt incredibly out of place. I was the interloper, I was the girl who had stolen the nephew, son away, and I was the girl who was most definitely not engaged to Phil. Yes, four months after our engagement, it still wasn’t being acknowledged. It wasn’t until about 4 months before we got married that we were actually allowed to put on Facebook that we were engaged. Before that we had to simply say that we were in a relationship, but even that was a fight to get to say that. And yes, as you can probably tell, this is still a very sensitive topic for me. It is one thing to have a piano recital ignored or to not receive congratulations for completing a huge masterpiece that took a long time, but it is another thing entirely to have one’s engagement rudely ignored and treated like it never existed. It’s one of those life events that deserves acknowledgement. This is part of why I struggle with shame and guilt when it comes to our story. Engagement is something to be celebrated and ours wasn’t; not by the people who would have counted the most. December rolled around, we had been engaged for 5 months and had made the difficult decision to call off our third wedding date (the only reason we called this date off was because the pastors told us they wouldn’t marry us…not yet, anyway) which was for the middle of January. New Year’s Eve was upon us and this year, I was not leaving Phil’s side. Things went down hard and fast that New Year’s Eve. That was the day that Phil’s parents found out all about my dad’s past and history, and that was the day that they found out what we had been facing throughout our entire relationship when it came to my dad. The very next day, January 1st of 2011, was the day that for the first time in over 3 years, and after many requests for this very thing, all six of us sat in the same room and talked. By this point, Phil and I were done. I was done with my dad’s crap, with being picked on by both my parents at home, and not feeling welcomed anywhere else because I was with Phil. Phil was done with meeting with my dad to ask for his blessing on our relationship (he asked, point blank, four separate times), he was done with how I was being treated. I remember Phil’s dad entreating my dad to work on his and my relationship. I remember my dad’s disgusted face about being told to do something he didn’t want to do. I remember my inward scoff that he wouldn’t do anything. And I was right. I ended up initiating, yet again, a coffee date with him a week after the meeting, and a week of waiting for him to do something. We went out to Starbucks, and I told him that I was done initiating anything with our relationship. I didn’t even want to talk to him, I didn’t trust him, and I didn’t know if I ever would again unless I saw him do something. He told me that he had wanted to kick me out (never really told me why he had changed his mind at that point) and that he just didn’t know what to say to me. I shrugged and really had no interest in continuing the failing conversation. Two weeks later, my life changed drastically. One of my best friends had been in a coma since the middle of December. She was one of the only people I felt I could trust was genuinely and extremely happy for us. She died shortly after my coffee date with my dad. Phil’s first major guitar teacher died of ALS the day before she died as well. The following weekend held both of their funerals. The following weekend was also when I found out just how much I meant to my parents. Question – were you part of an SGM church during this time? I noticed your use of the term “care group” and wondered. yes, we were at a SGM church during this time. The habits and way people treat you when you do something they don’t agree with is the biggest reason we left. Ugggg .. I am waiting to hear the rest of your story, This is all so tragic! I am so sorry you were treated this way!!! Congrats on getting engaged and finding the love of your life! The person that completes you, like Eve completed Adam. I know it’s late, but yeah for both of you anyway!!! God will bless your marriage, you kept trying to do the right thing and God watched you. Sorry you have had to have such a hard time in this!